At Locus Realty we specialize in real estate offerings in Big Cottonwood Canyon. 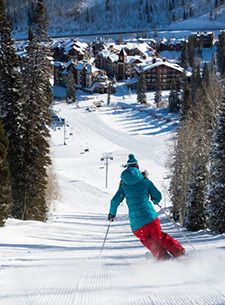 Our home base is the Solitude Resort Village, but we have expertise across the entire Canyon. Let us work with you to find you the perfect mountain property in this unique and fabulous area. Whether your dream is a rustic cabin in a mountain meadow, or a ski in ski out condominium steps from shops and restaurants, or a luxury home with breathtaking views and glorious spaces, our agents have unmatched knowledge of this remarkable canyon and its unique offerings. There is no time like the present…except maybe the future! Considering Deer Valley’s recent acquisition of Solitude, there has never been a better time to explore all the benefits of owning property in this remarkable Canyon.